Your console has lost connection while trying to save your password to the console. Your console has lost connection and can’t sign you back in because you didn’t save your password. To disconnect your console from Xbox Live, follow these steps. 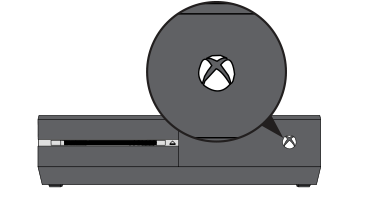 Turn off your console by holding the Xbox power button on the front of the console for approximately 10 seconds. Turn your console back on by pressing the Xbox power button on the console or the Xbox button on your controller. Note If you don’t see the green boot-up animation when the console restarts, repeat these steps. Make sure that you hold the power button until the console completely shuts down. Sign in to your Xbox Live profile on your Xbox One console. For more information, see the Xbox One Sign-In Solution. Unplug the power cable from the back of the router, modem, or gateway for 5 minutes. If you have both a router and a modem, unplug the power cable from both devices. Power cycle your Xbox One console. For information about how to power cycle your Xbox One, see Solution 2. After 5 seconds, plug in the modem or gateway and wait for all the lights to return to their normal state. If you’re using a router, plug in the router and wait for all of the lights to return to their normal state. Would you like to contact Support regarding the "Error 80A4000A occurs when using your Xbox Live account on Xbox One" issue you were reading about or a different issue?